Discussion in 'Miami Dolphins' started by Gi-15, May 2, 2008. Danny Amendola and Olivia Culpo have broken up. Amendola unfollowed her on instagram and deleted all of her pictures on his instagram. As of today, March 28 2018, she still has pictures of Danny Amendola on her instagram. He already deleted her pictures from his instagram. Either he just dumped her and moved on quickly. Or he found out something she did, like cheating, and was really hurt and angry. If she did cheat, that could be one explanation why Amendola, who was the person hurt and angry, deleted her pictures so quickly from his instagram. From the website crazydaysandnights dot net, a March 24, 2018 blind item. Is Rock Hawk Jayhawk a one season wonder? Well, this former one year wonder willingly hooked up with a producer to land a reality show for herself. She didn't think her celebrity boyfriend would find out. Apparently though, she accidentally sent a selfie of herself in the hotel room where it happened and the sh*t hit the fan so to speak. Now, no more relationship. 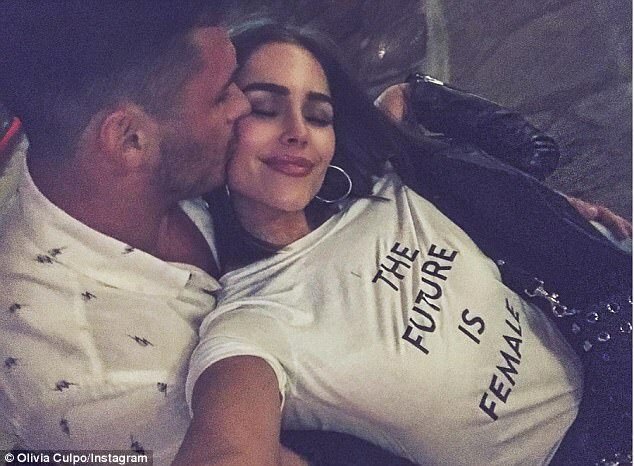 People in comment section are speculating that this refers to Danny Amendola and Oliva Culpo. This blind item was posted right around the time Amendola unfollowed Culpo on instagram.